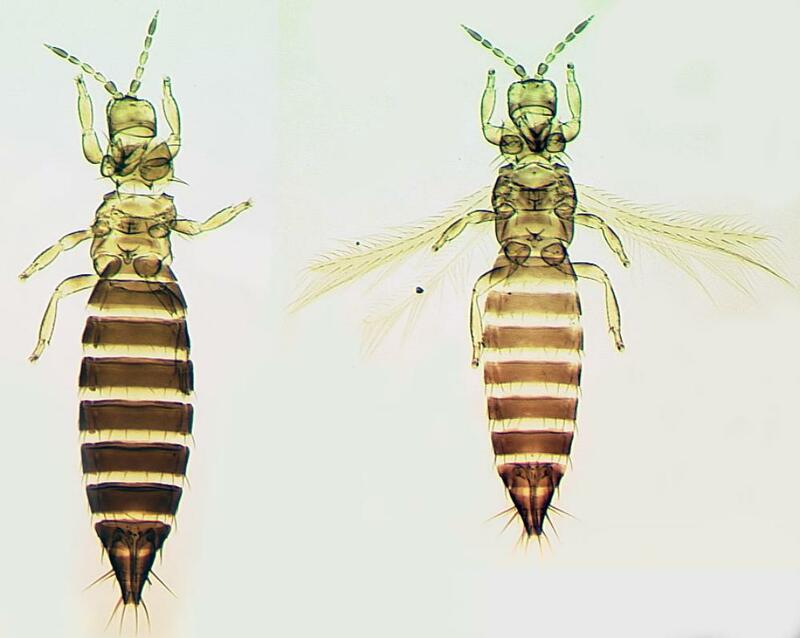 Both sexes either fully winged, or micropterous with wing lobe shorter than width of thorax. Female with body brown, yellow markings on head and pronotum; legs yellow, femora with brown markings; antennal segment II brown, I and III–IV paler; fore wing weakly shaded, base pale. 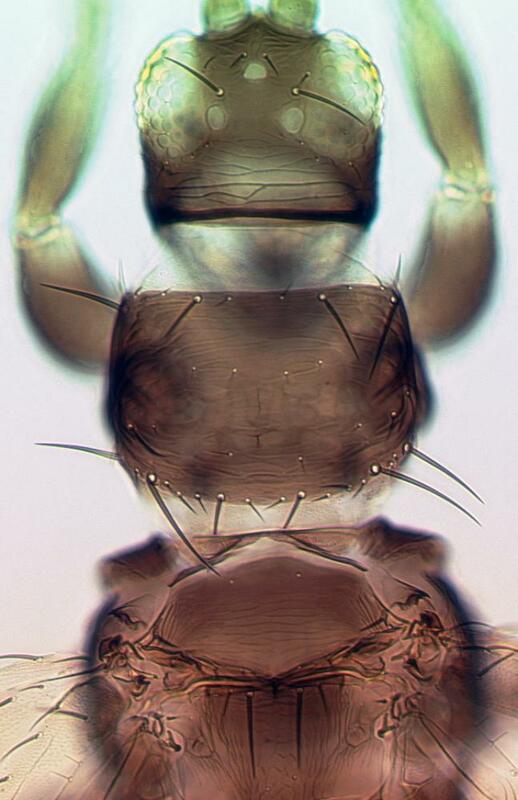 Head wider than long; three pairs of ocellar setae present, pair III arising just outside and slightly longer than side of triangle; postocular setae pair I absent, pair IV slender, not longer than diameter of hind ocellus. 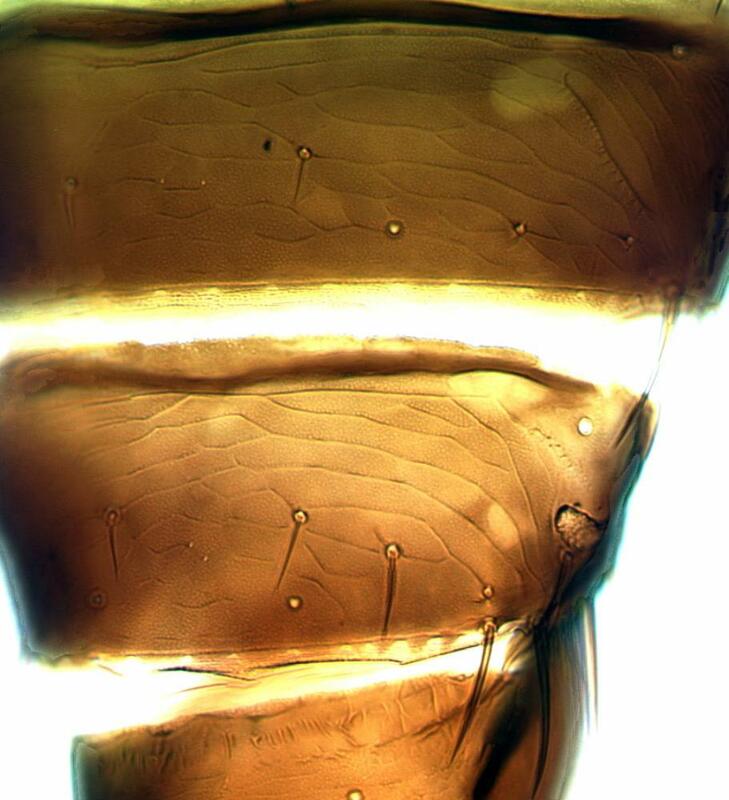 Antennae 8-segmented; segments III–IV with sensorium forked. Pronotum with 5 pairs of major setae; anteromarginal setae shorter than anteroangulars, one pair of minor setae present medially between posteromarginal submedian setae. Metanotum with 2 pairs of setae at anterior margin, campaniform sensilla present. Fore wing with 2 complete rows of veinal setae. Abdominal tergites V–VIII with paired ctenidia (weakly developed on IV), anterolateral to spiracle on VIII; tergite VIII with no posteromarginal comb. Sternites III–VII without discal setae. Male smaller and paler than female; sternites III–VII with pore plate transverse and narrow to broadly oval. Currently 230 species are listed in the genus Frankliniella, with up to 130 further names placed into synonymy (Nakahara, 1997). This high rate of synonymy has been due to the previously unrecognized variability in size and color of so many species. F. fusca is remarkable amongst these species because of the presence of long winged and short winged adults, a phenomenon that is known in only 10, unrelated, species in this genus (Mound et al., 2005). Breeding on leaves as well as in flowers. The dimorphism in wing development might indicate an adaptation to unpredictable ecological conditions, such as in the "fire ecology" areas of Georgia and Florida . Recorded from a wide range of plant species. Important as a pest of field crops (tobacco, peanuts, tomatoes, capsicums) particularly in south eastern USA. Widespread across the USA, into Canada in the north and into Puerto Rico, Martinique and Mexico in the south; intercepted in quarantine in Netherlands.